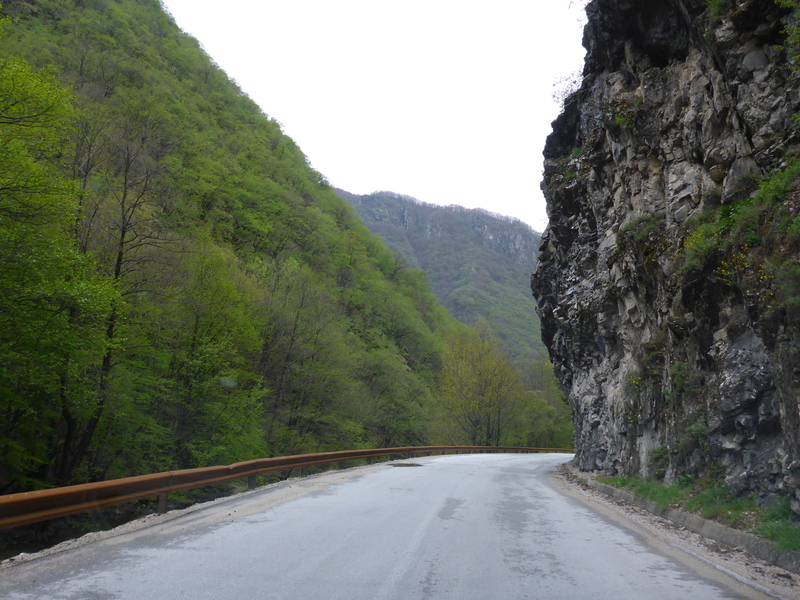 Driving through the national park of Mavrovo is a scenic drive through roads narrowed by trees, mountains, rivers and lakes. 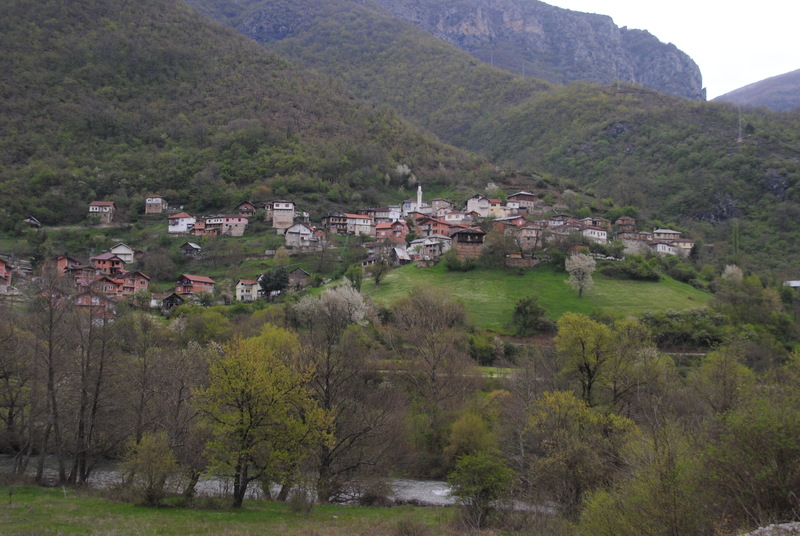 Since we were in Mavrovo national park, we felt we had to take the small detour to Mavrovo village as well. Driving off the main road, over the dam, we followed the croocked road. We very fast noticed that this was a popular skiing destination after passing by a fence made by used skis. 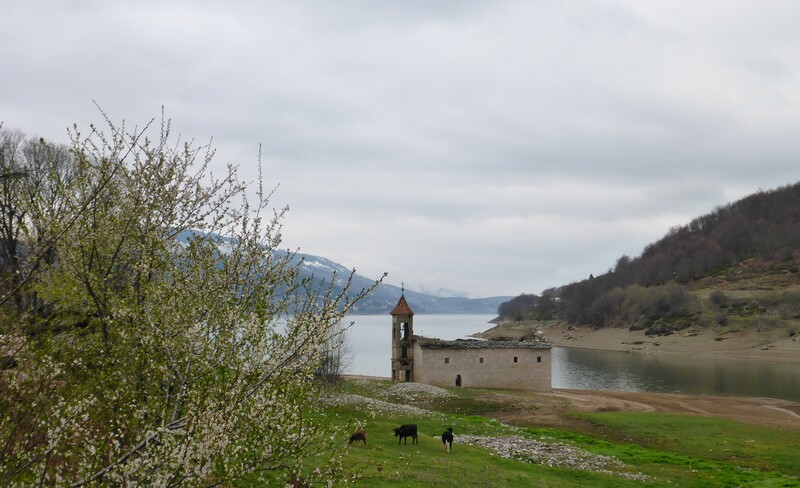 But the way to the end of the road also lead us through beautiful green landscape, to a fabulous old run down church by the lake, cows eating gras and minding their own business and idyllic houses spread all around. 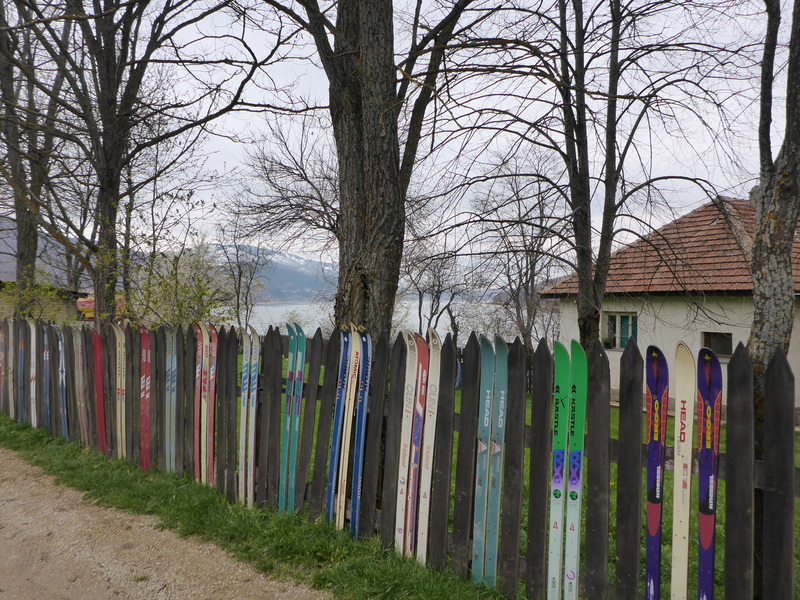 Fence in Mavrovo made by skis. Faboulus old run down church by the lake. At the end of the road we found a few hotels and a ski lift. It was no snow (but could easily have been…), so the place did not show itself from the best side. But it still showed potential. It could off course not match the bigger places in the Alps, but offers a different experience. Heading onwards through the national park, we passed many charming, small mountain villages.